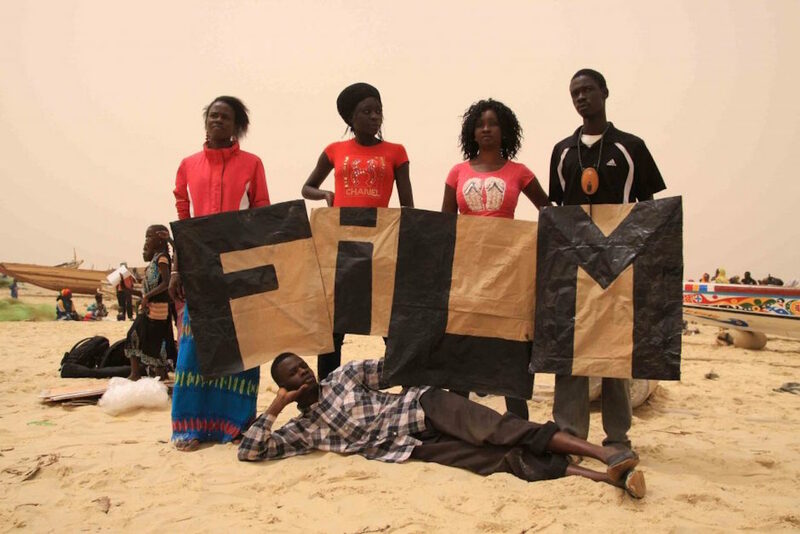 African Screenings is a longstanding project by Cinemovel Foundation in the African continent. The project consists of a local Communities Film Festival, accompanied by a social and health campaign. The project was born in Mozambique in 2001: from August to October, Cinemovel crossed the most remote areas of the country and screened Mozambican, European and American films for all ages, unveiling the socialising and evocative power of cinema. The Communities Film Festival is a unique opportunity to deliver a learning experience for local people and to support health and social campaigns tailored to their needs and ambitions. The project is developed over the course of 3 years in the Ivory Coast, Mozambique, Cameroon and Uganda, bringing local communities together: to share the universal experience of a film screening; to learn about each other and their needs as a community; to use the filmic language as a mean to convey important health and social messages; to acquire the necessary expertise to bring to life the continuous realization of the Communities Film Festival through the years, as the project won’t stop once Cinemovel’s troupe is gone. Cinemovel’s story started in 2001 in Mozambique, bringing the magic of movies to the villages, using their impact and evocative strength to talk about Aids and doing what movies have always done: telling stories. It was the first traveling project using the movies to talk about health care, and the effects on a mainly illiterate population have been outstanding, as confirmed by field research carried out by doctors. With Ettore Scola as honorary President, over the years this idea has become a project. Morocco, Ethiopia, Tunisia, Senegal and Ivory Coast are pieces of this story, that Nelson Mandela, during the first project in Mozambique, suggested extending all over Africa, trying to “imagine a trans-African movie project”. Today Cinemovel Foundation has created a traveling platform for social communication, using movies and the internet for the development of civil society, the exchange of information, the creation of new connections between the center and borders, different cultures and countries, tradition and innovation. Cinemovel is a cultural foundation which has been involved in designing, planning and implementing traveling movie initiatives at an international level for more than fifteen years, in order to exchange knowledge and skills, spread information and contribute to a more equitable distribution of intellectual and material resources. To make a donation in support of African Screenings make out a check payable to: SIMA STUDIOS and mail to 632 Westbourne Drive, West Hollywood 90069, CA. SIMA’s Tax ID is 46-2836025. Be sure to write “African Screenings” on the notes/memo line of the check. If you would prefer to make a wire transfer, please reach out to Erin Newman at project@simastudios.org.